We should probably move onto how the game feels. 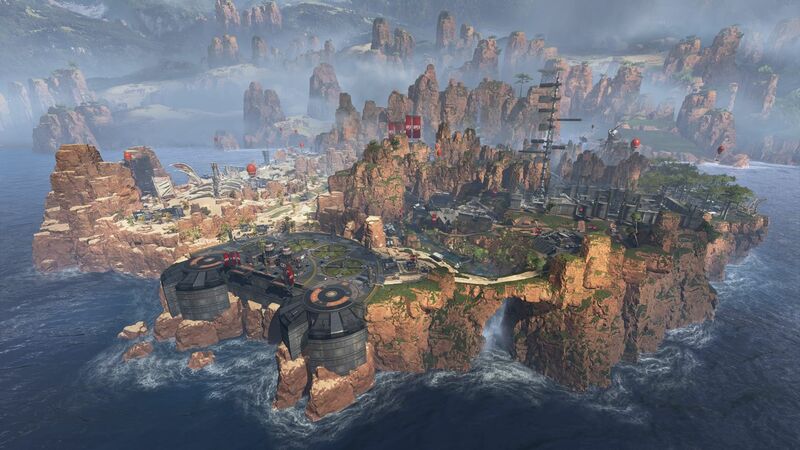 Unsurprisingly given Respawn’s back catalogue (Titanfall 2 was superb), they’ve nailed the flow of movement – there may be slightly better-looking games out there, but none move quite as smoothly. Sprinting and sliding remains a playful mechanic, the ability to run faster when weapons are stowed makes for a subtle nuance, and while wall running has been removed it’s still possible to scramble up walls and ledges. There are other ways to get around quickly too, including the recently mentioned ziplines. 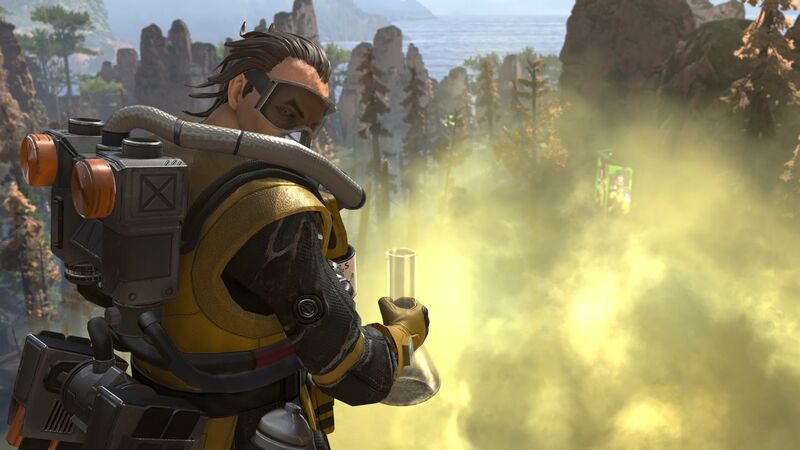 Ingeniously, some are capable of propelling players across the map – vital for escaping enemy squads when outnumbered or fleeing from a no-go zone. As you may expect, the battlefield shrinks at the end of each round, constantly pushing the remaining squads closer together. 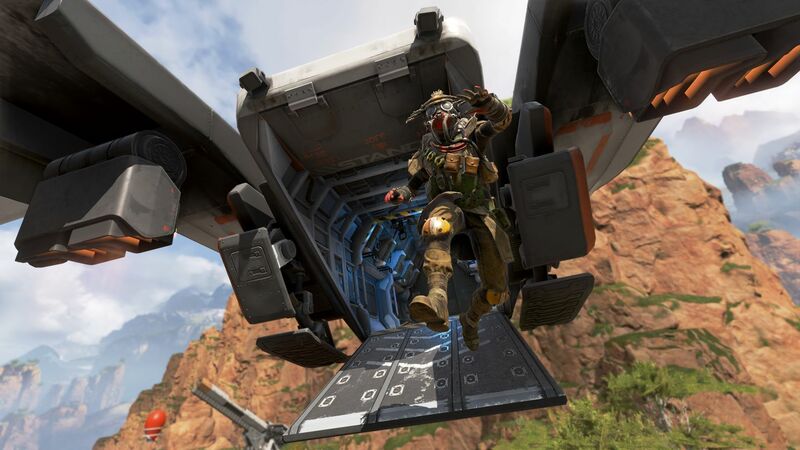 Rather than use the standard 100 player quota though, Respawn has opted for 20 three-man squads, bringing the player count to 60. The map was clearly made with this cap in mind as it’s uncommon to go more than five minutes without seeing an enemy. Confrontations are exciting; a messy scramble if caught off guard, or dealt with swiftly and with precision if well-prepared and on high alert. The weapons all pack a punch, being the usual mixture of pistols, assault rifles, shotguns and sniper rifles with a slight sci-fi twist. You’re bound to find a favourite (and then spend the rest of the match scavenging for enhanced scopes, barrels, and mags). 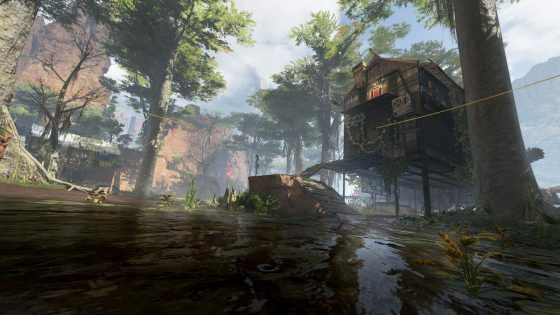 It doesn’t take long for Apex Legends to hook, and when it does, it gets you deep. In addition to all the usual means of keeping you playing, such as a loot box after every level boost, there are some not too obvious methods afoot. Each character has a customisable banner showing current kill totals and other stats, all of which can be handpicked. During battle these banners can be found adorned on structures, giving current ‘kill leaders’ a spot in the limelight. Before a battle commences you’re shown the upper-tier competition too – the ‘best of the best’ from the match prior. Or in other words: the squad to beat. 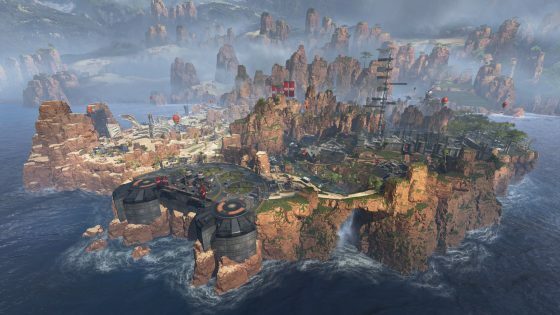 With Apex Legends, Respawn has created a juggernaut – something that has the potential to grow and become even better over time. This is a game with legs. They may not be colossal, hydraulic, armour-plated legs any more (unless you’re playing as Pathfinder, we guess) but that’s okay – the sacrifice of the titans wasn’t in vain. Respawn is a studio deserving of your faith. They’ve taken a concept starting to look stale, given it a good old shake-up, and delivered it with aplomb. Now that’s how you hit the ground running.